Check out our photo gallery below and then read our in-depth review of Washington School House Hotel. 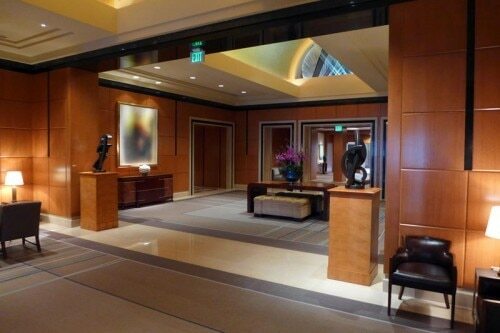 Enjoying a convenient SoMa location just blocks from Union Square, the Four Seasons San Francisco offers a retreat for both business and leisure travelers. Guests enter from Market Street or a quiet cul-de-sac, then check in with the personable staff at the fifth-floor lobby, granting them access to all the hotel’s impressive features, such as the luxurious accommodations, 15,000 square feet of meeting and event space located on the floor just below and 127,000 square feet dedicated to fitness and wellness on the second and third floors. The 277 guest rooms and suites provide guests with creature comforts such as down duvets and pillows, thick terry bathrobes, twice daily housekeeping, an iHome alarm clock, multi-line phone with voicemail, in-room safe, refrigerated private bar, Wi-Fi and floor-to-ceiling windows. On-site amenities include a 75-foot junior Olympic pool, a 24-hour business center, a private art collection of 90+ works and MKT Restaurant – Bar. The menu features a local, California-inspired cuisine of steaks and small plates, as well as artisanal cocktails, craft beers and California wines. What do you get when world-renowned chef Nobu Matsuhisa and two-time Academy Award-winner Robert De Niro get together? A modern luxury hotel, of course. 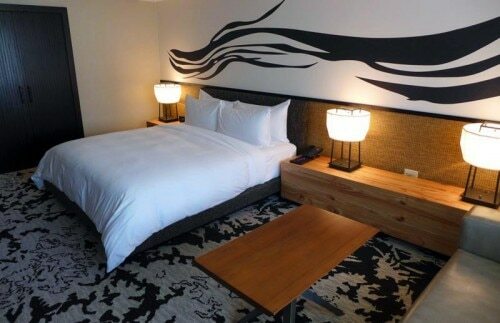 April 2013 marked the beginning of Matsuhisa’s hotel venture, when his first lodging opened as a hotel within a hotel at Caesars Palace in Las Vegas. But the duo’s collaboration didn’t start there, as De Niro previously co-funded and provided creative direction for Nobu restaurants worldwide. He’s also responsible for luring the Japan-born Los Angeles chef to New York. Surrounded by greenery and stone-clad architectural details, the verdant Wine & Roses hotel resides on seven acres in the middle of one of California’s newest wine regions. 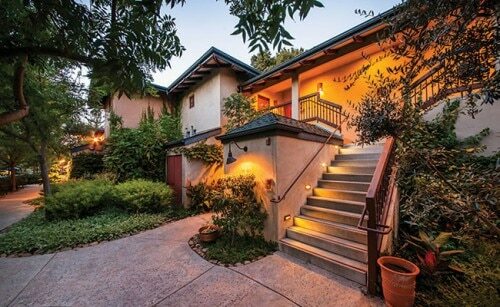 Seventy wineries under the burgeoning Lodi appellation near Sacramento are just minutes from this property, which takes full advantage of its location — particularly at its modern, high-end Towne House Restaurant, which features dozens of good local wines and draws both travelers and locals alike. At this Mediterranean-inspired SoCal escape, private gates open onto 45 acres of gardens, olive groves and 49 casitas, which have all been thoughtfully renovated (along with the restaurant, bar, meeting spaces, spa and fitness center) to the tune of $30 million. Better yet, more than seven miles of fields dedicated to polo and horse training separate the all-suite Rancho Valencia Resort & Spa from the I-5 freeway, guaranteeing peace and quiet for guests.